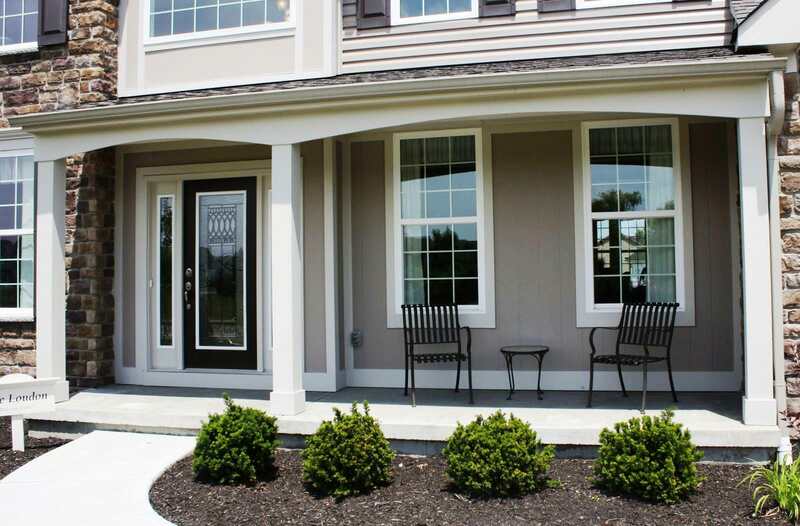 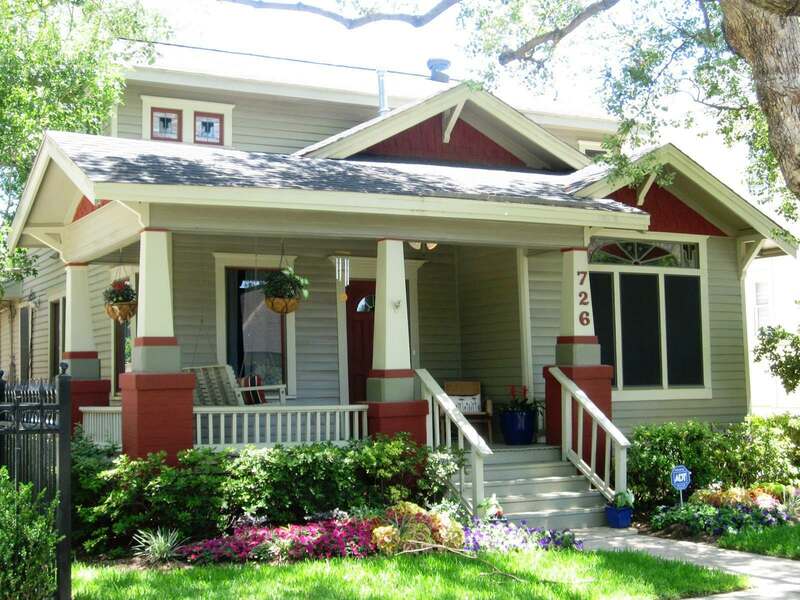 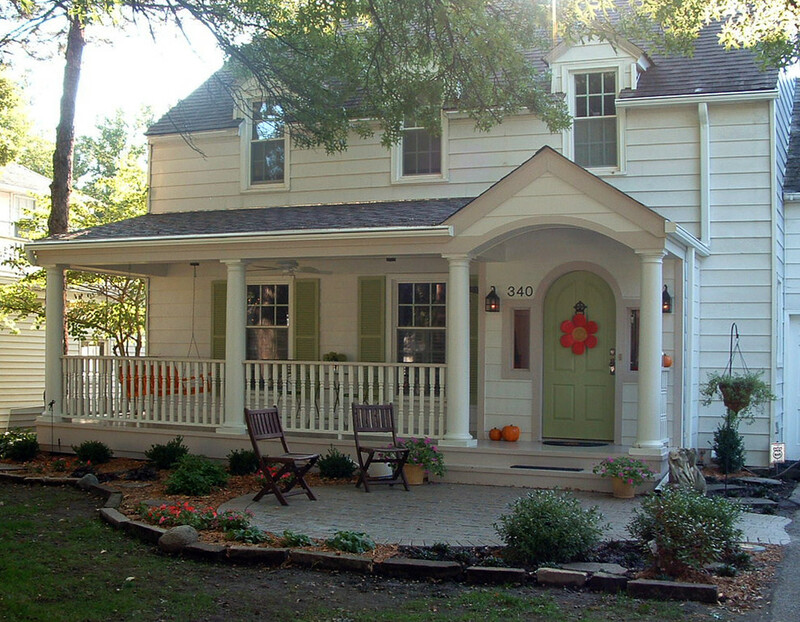 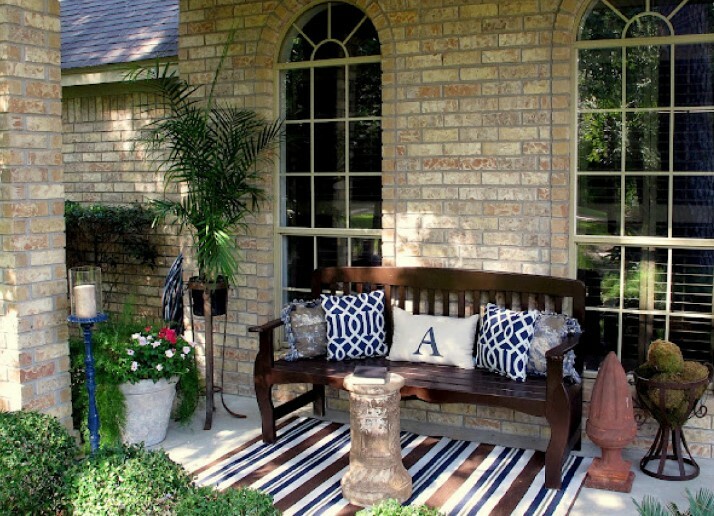 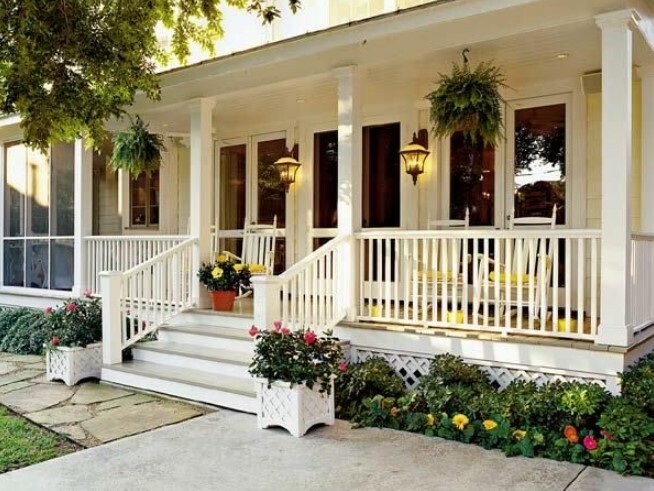 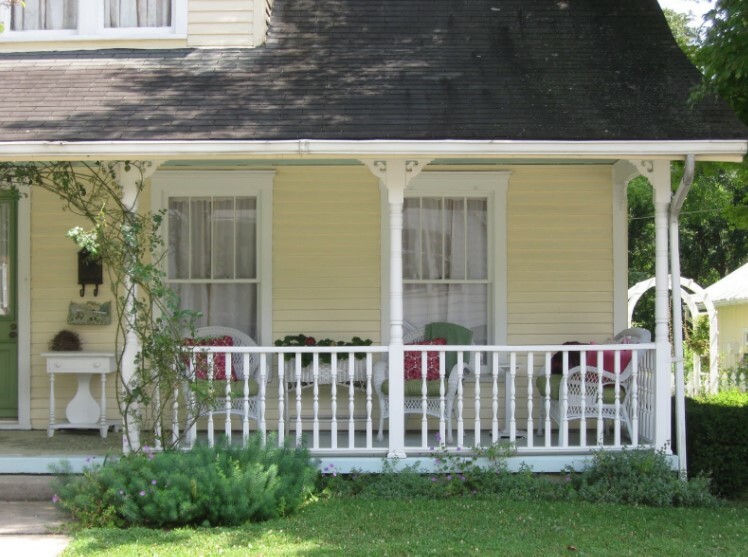 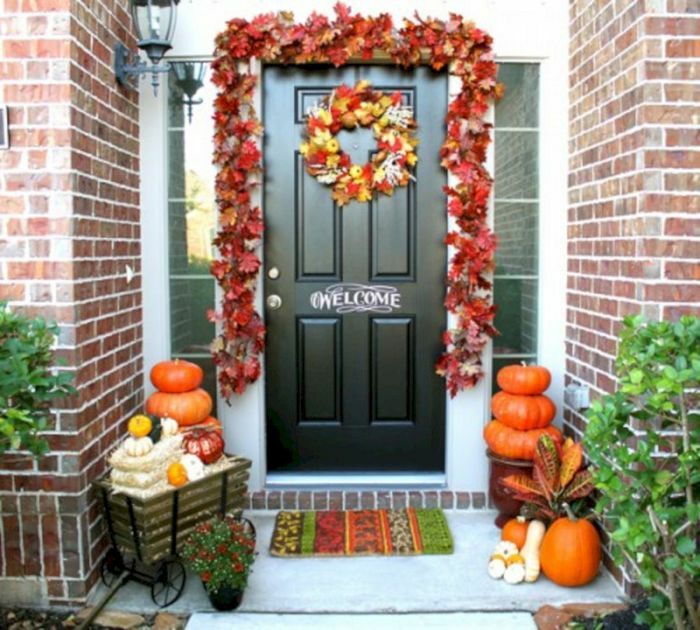 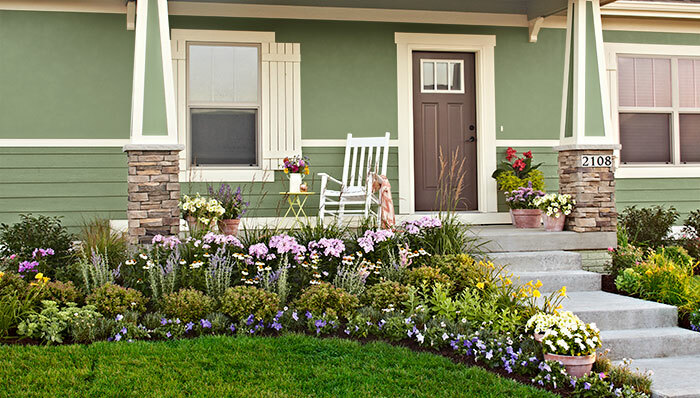 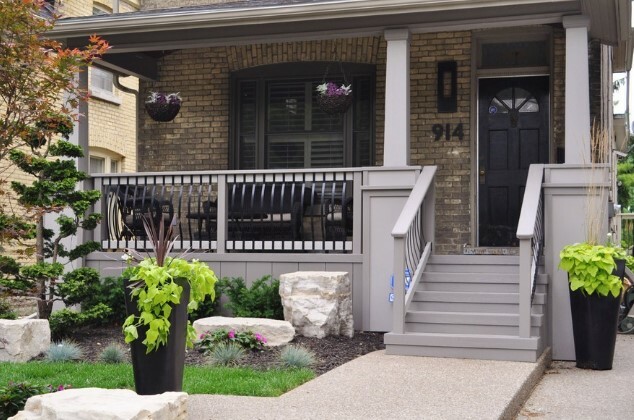 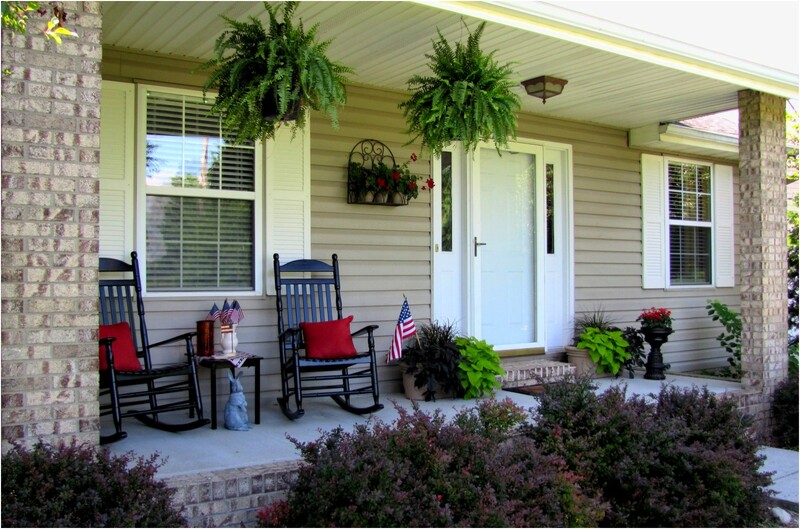 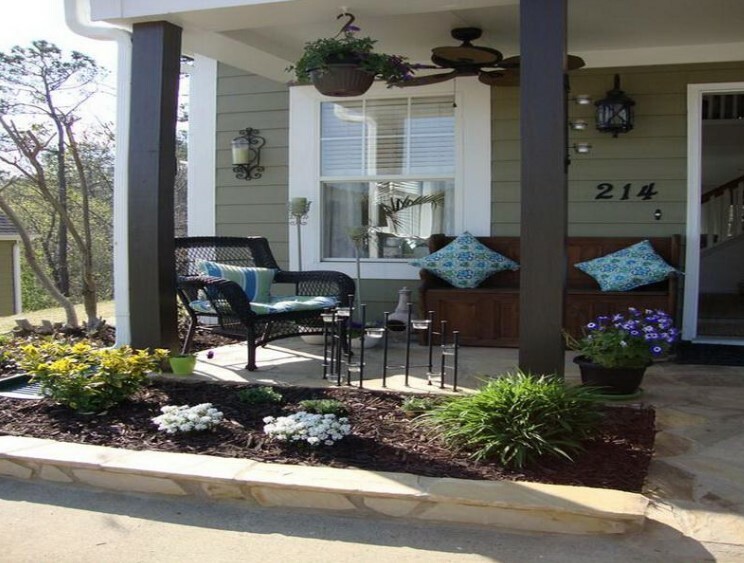 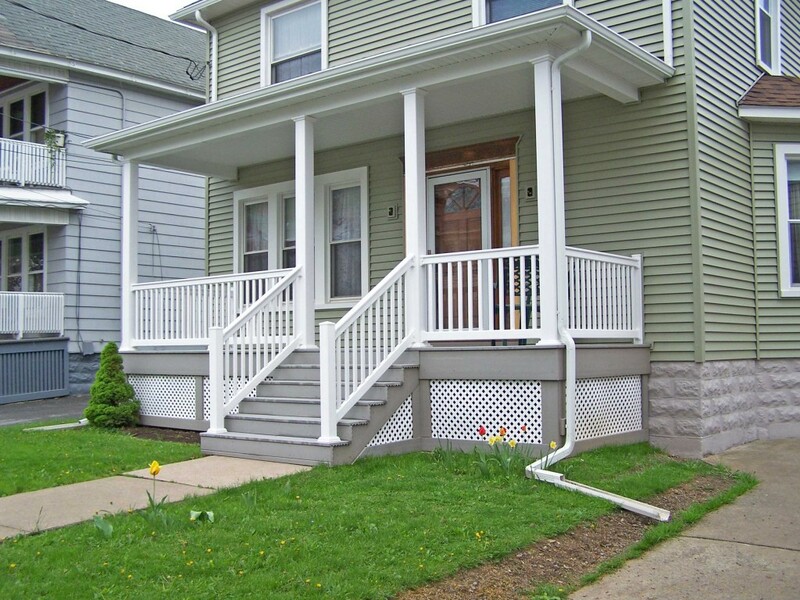 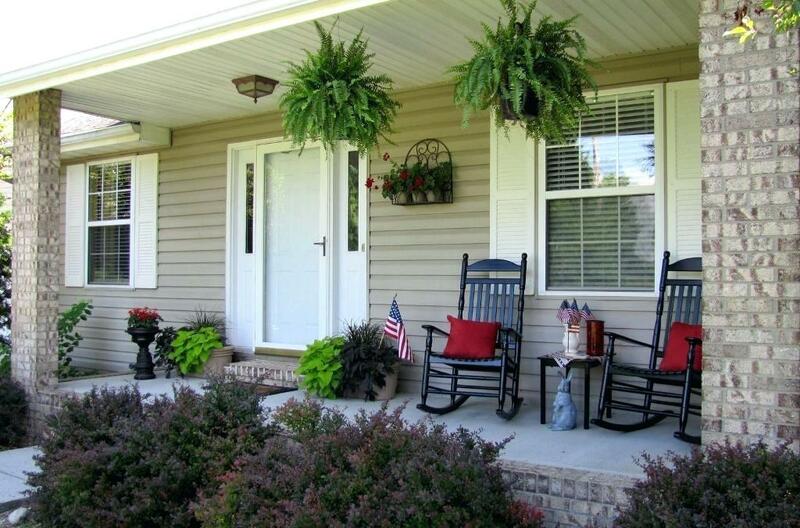 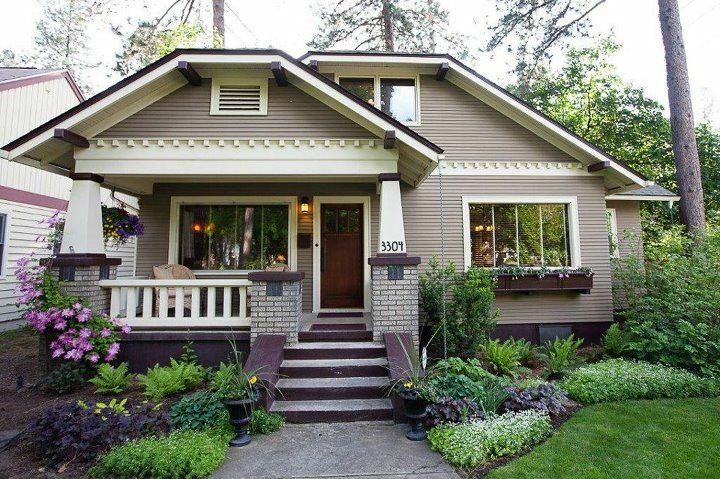 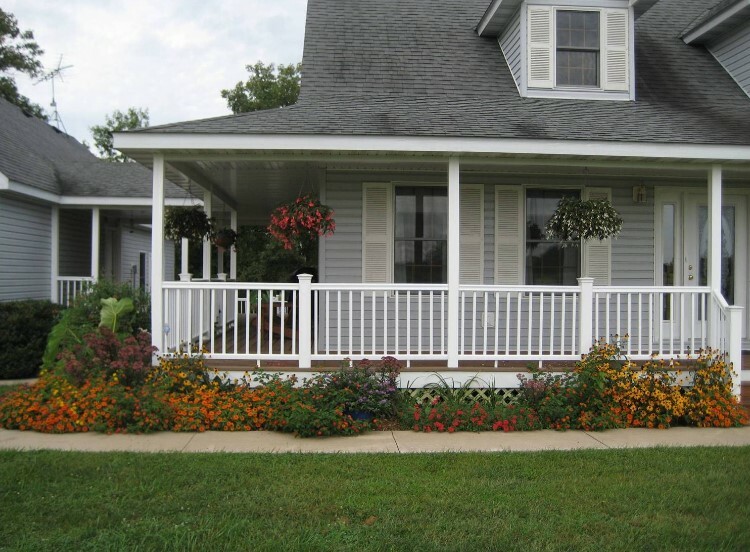 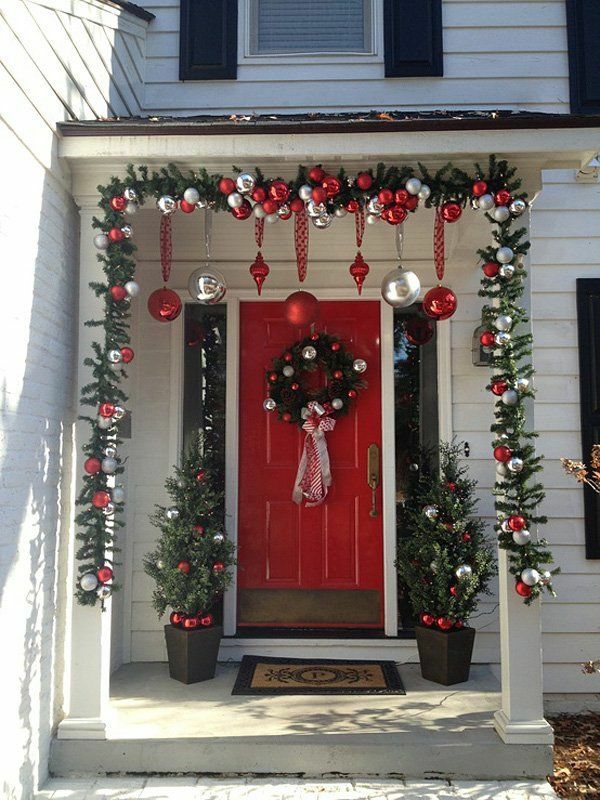 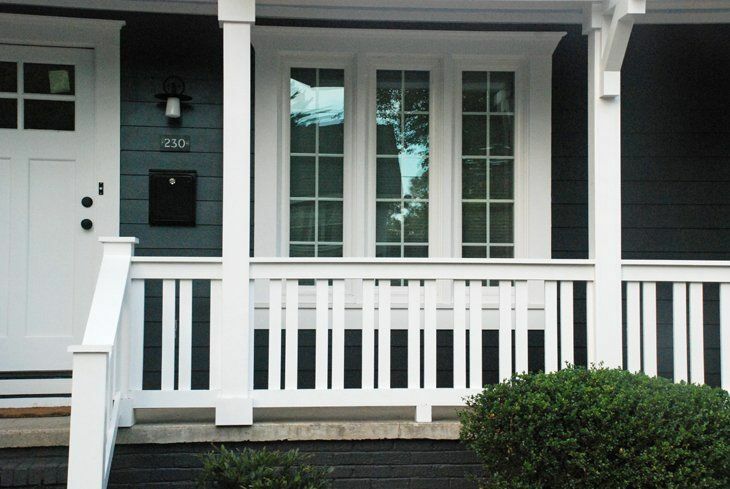 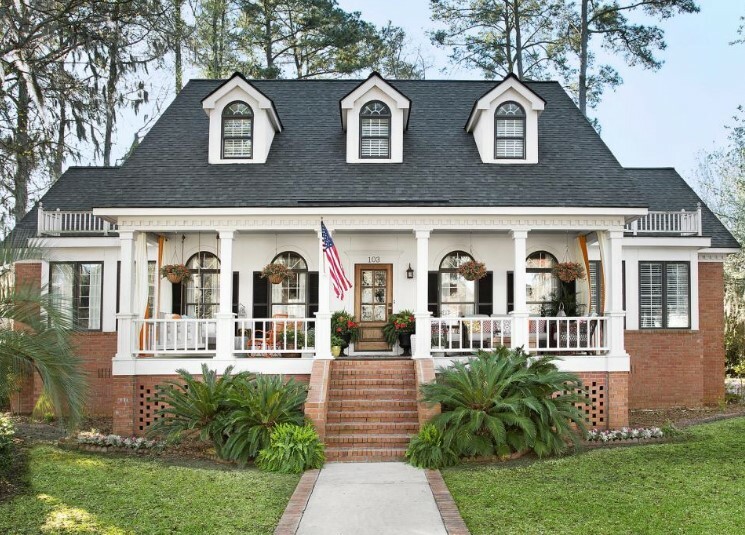 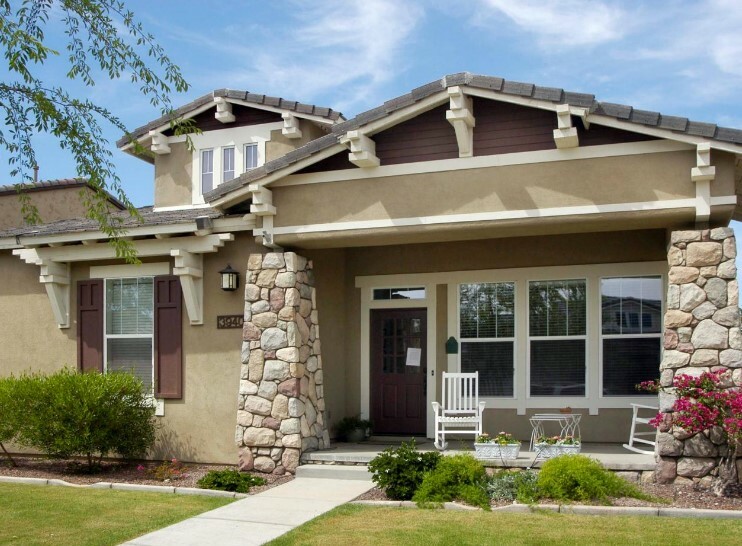 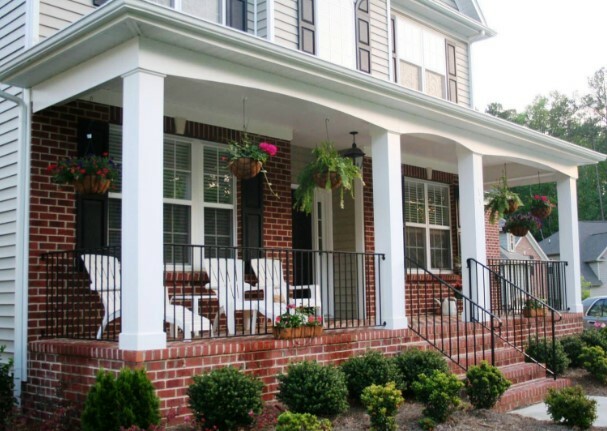 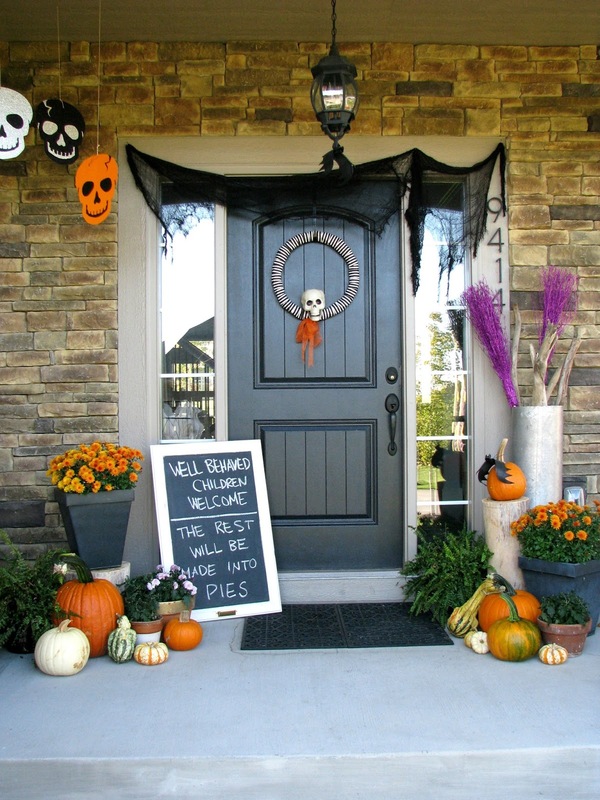 Front Porch Ideas – Porches are a very important addition to any home. 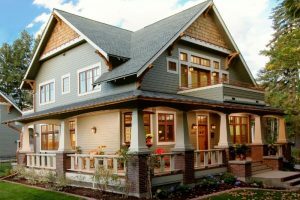 However, there are various shapes and sizes of these additions, which you can choose to coordinate the extra room with the exterior of the house. 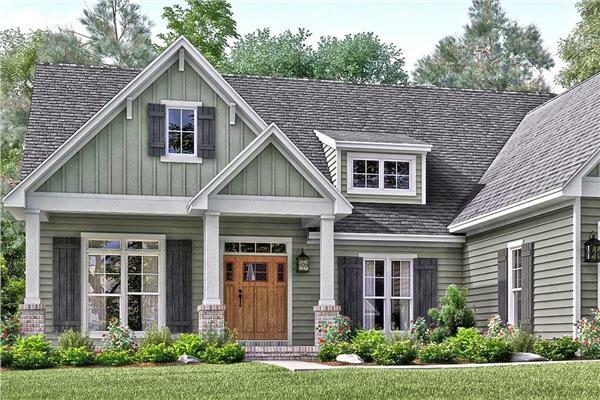 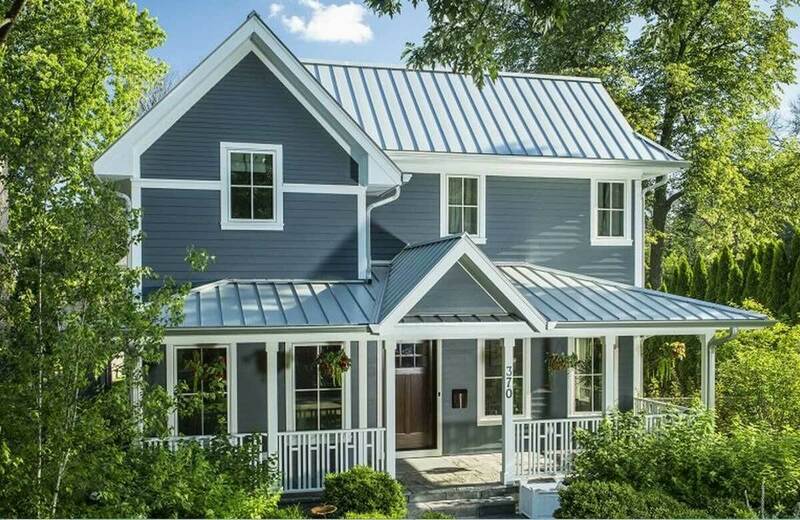 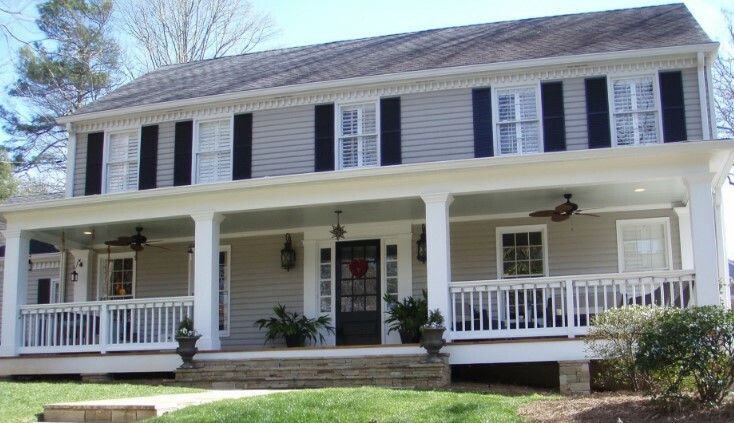 Although most house plans have a porch included, there are many homeowners that add on a porch or enlarge the one they already have. 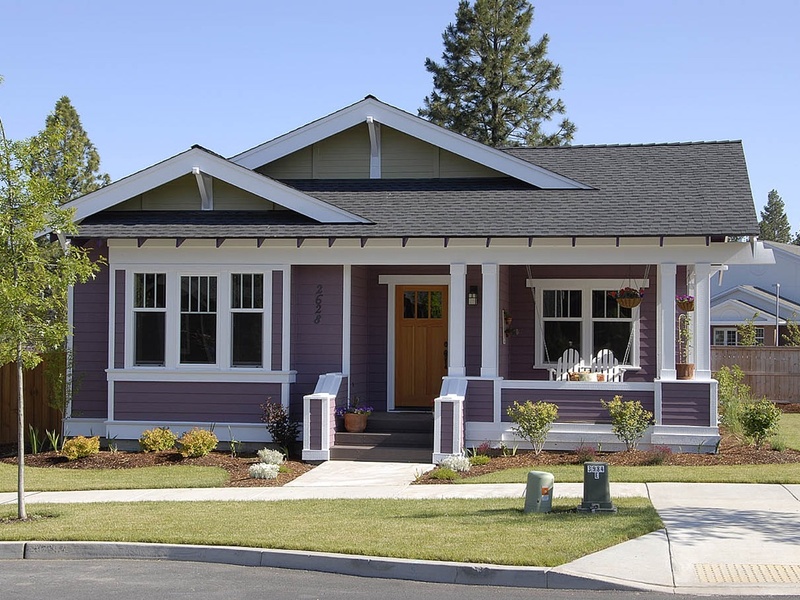 If you are building on to the home, you do have to make sure that you apply for permission from your planning committee. 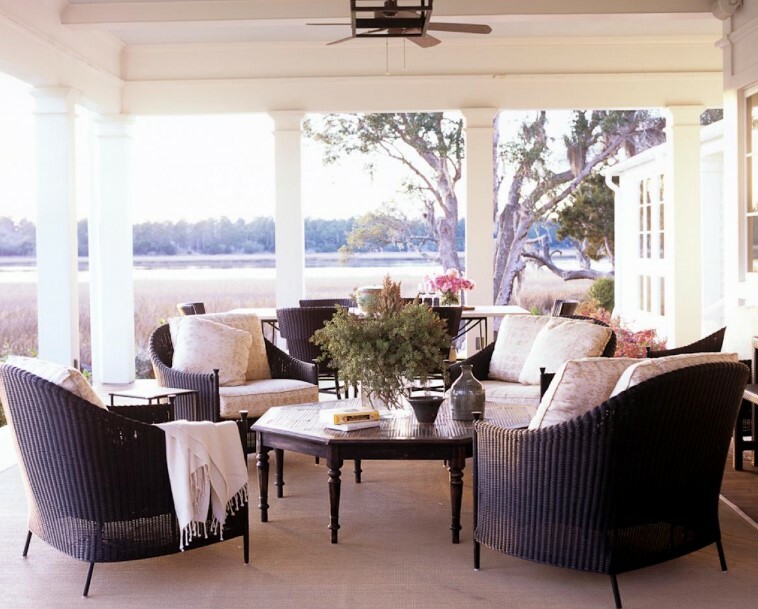 If you want an area where you can sit and enjoy the sun or the view of your garden, then adding a sun porch is a worthwhile investment. 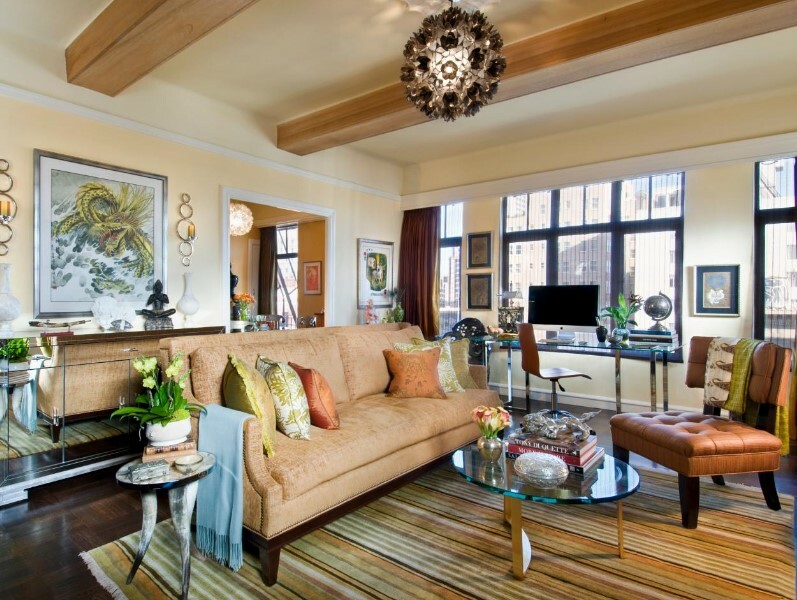 This area of the home can serve whatever purpose you wish. 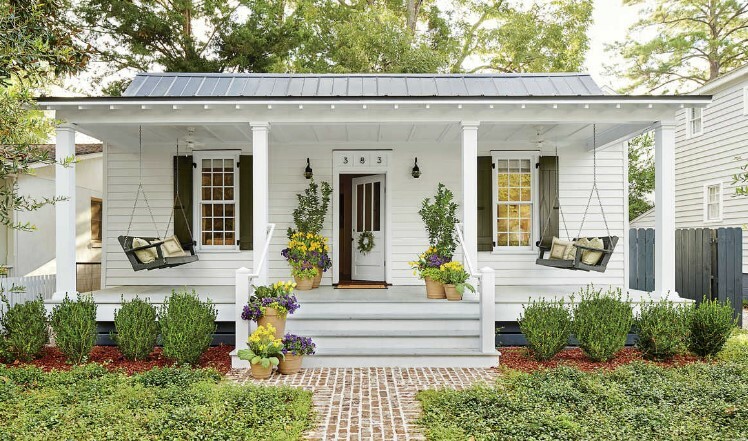 It can be the entrance where you leave your boots and shoes, have a closet for the coats and even have a space for the washer and dryer. 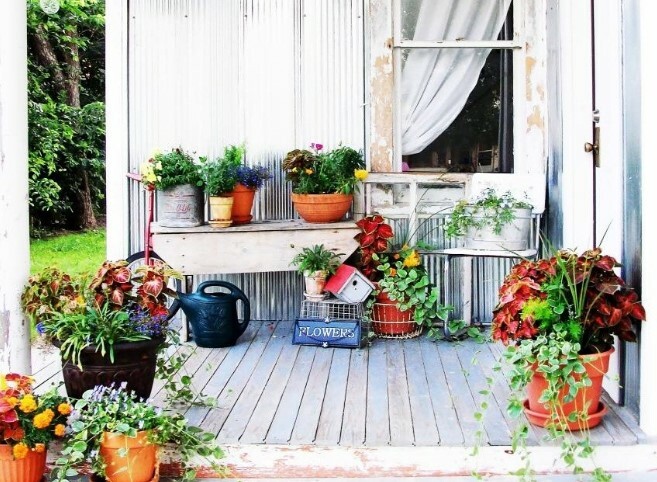 It can also double as a greenhouse if you have plenty of windows to allow plants to thrive and grow. 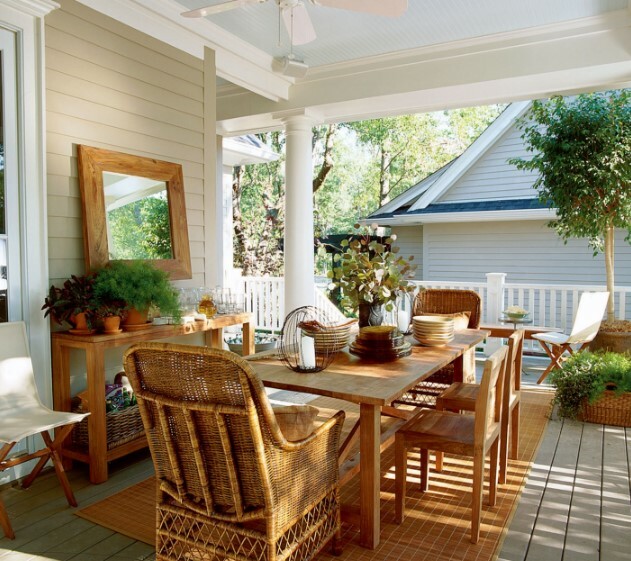 Having chairs and even a table in the porch gives you extra dining space all year round. 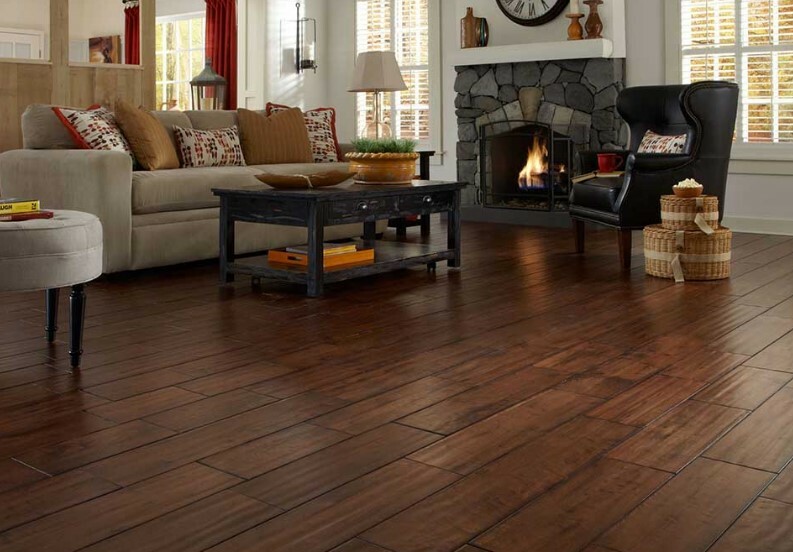 If this part of your home is large enough, you can even use it as a party room and not have a mess in the rest of the house. 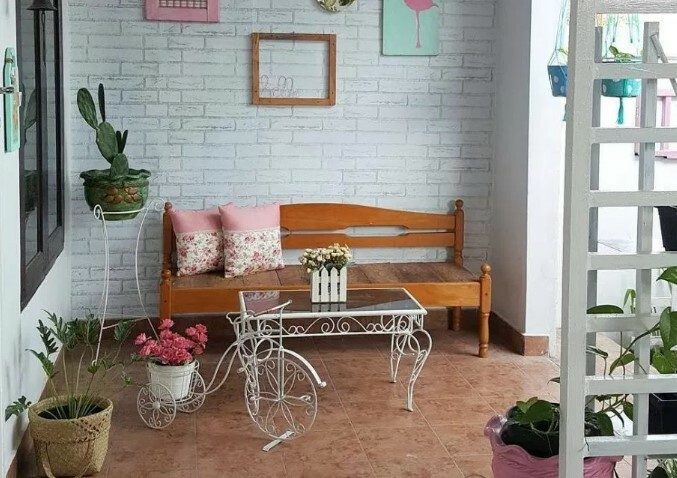 Of course, it is the perfect area to use as a children’s playroom, where you can let the children scatter the toys around. 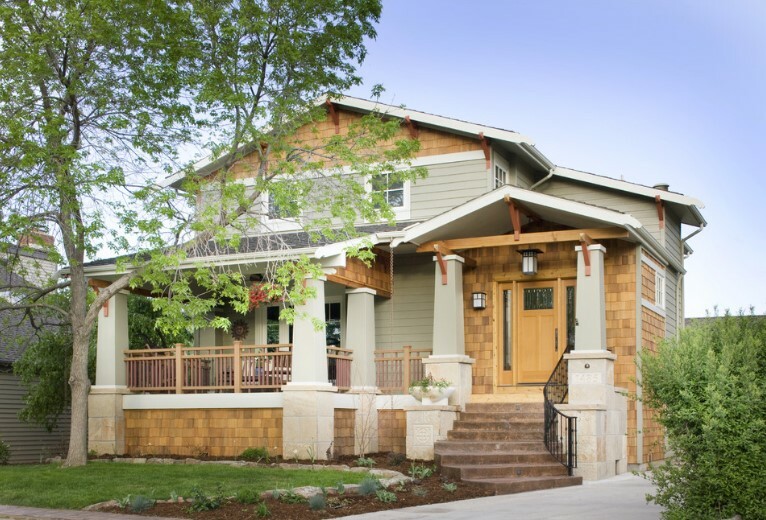 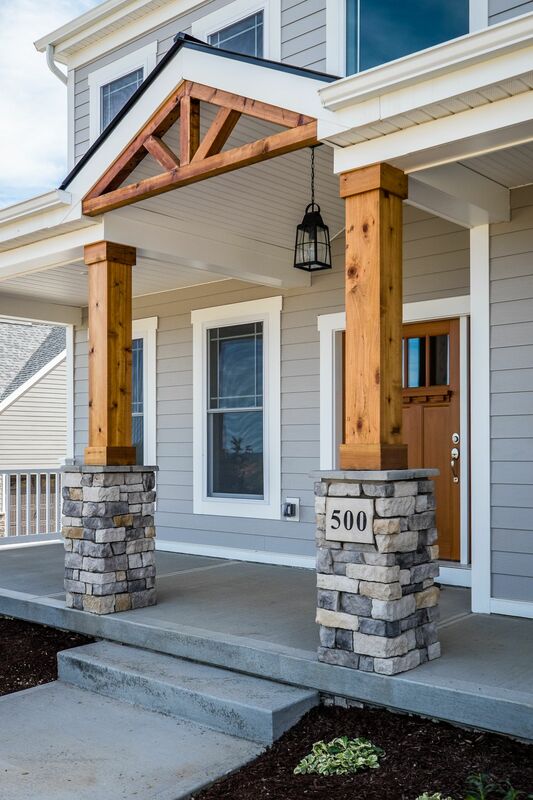 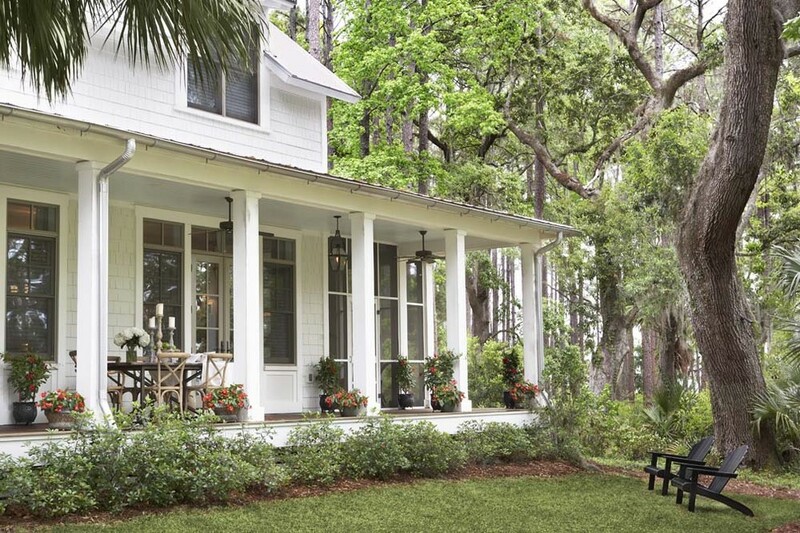 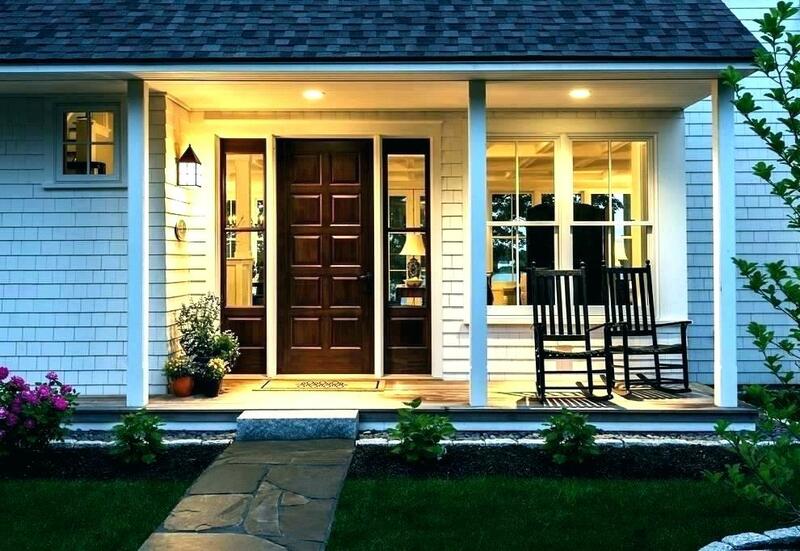 Before you decide on choosing one of the many front porch designs that are available, stop and think about how you want to utilize this section of your home. 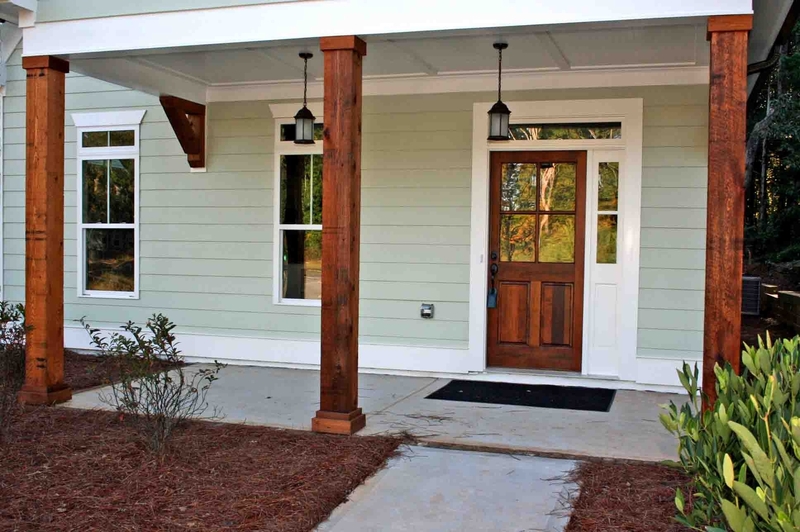 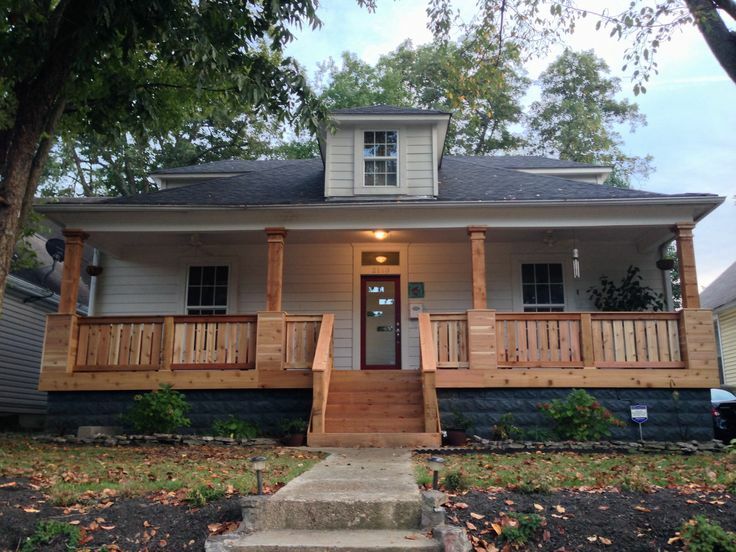 For many, the front porch is simply an entrance to the house and a place for a closet and to change footwear. 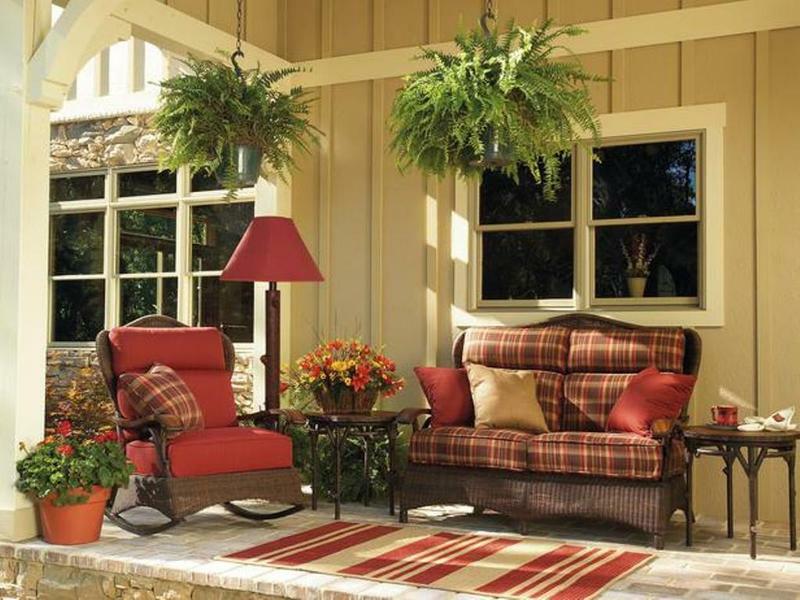 For others, it is a place to cuddle up with a good book or a place where you can enjoy your morning coffee. 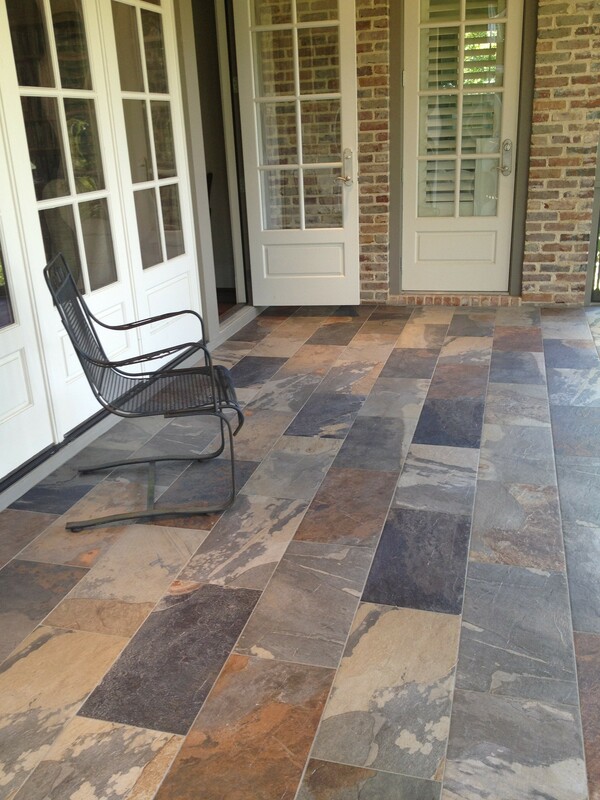 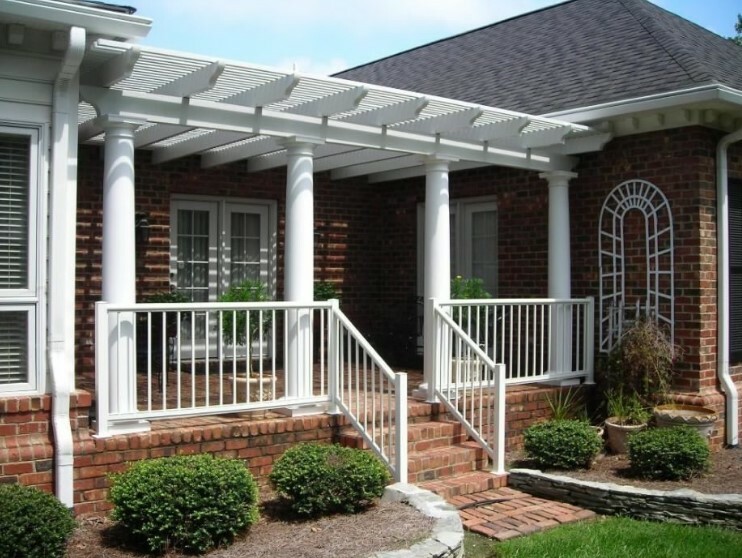 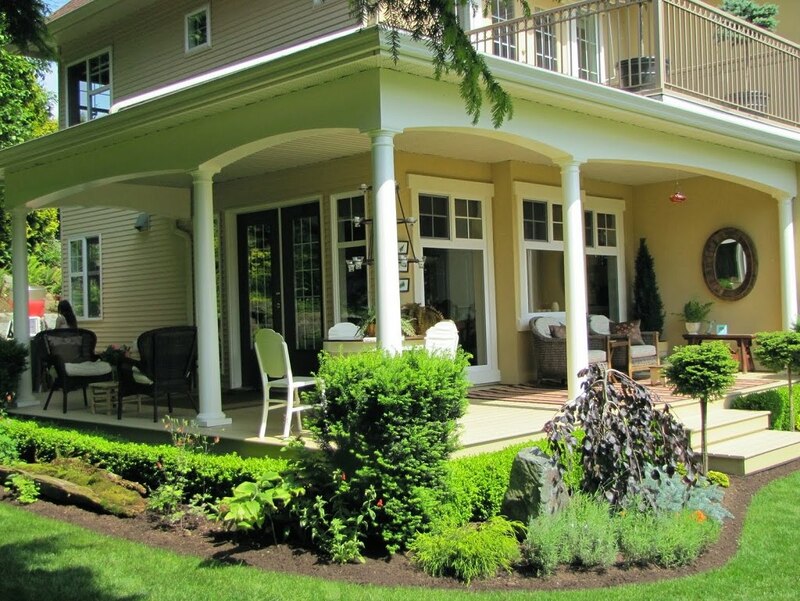 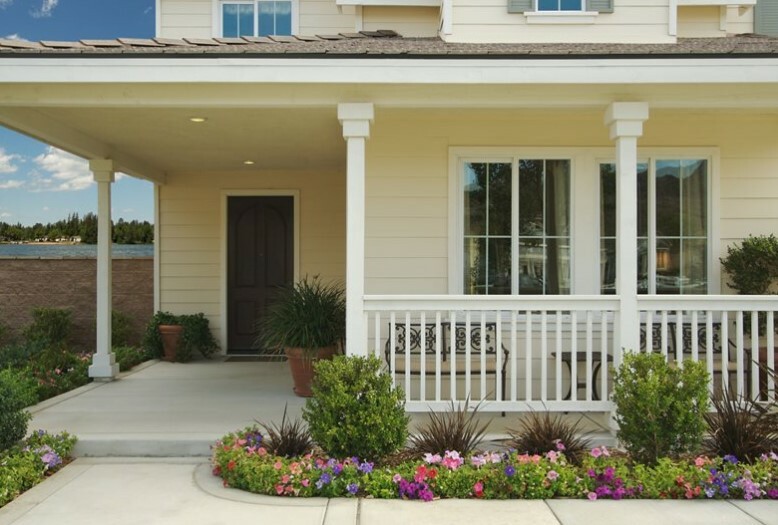 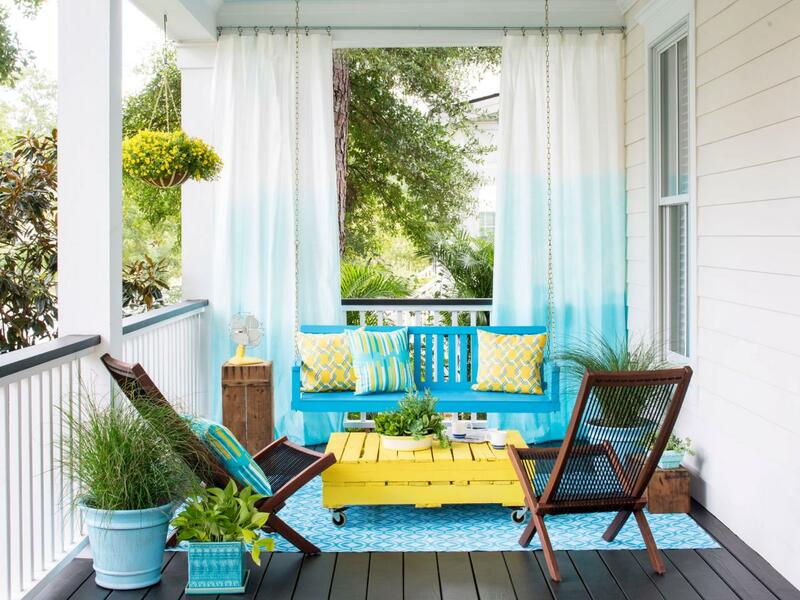 In all cases, porches are a sort of transition between the outside and the inside of your home. 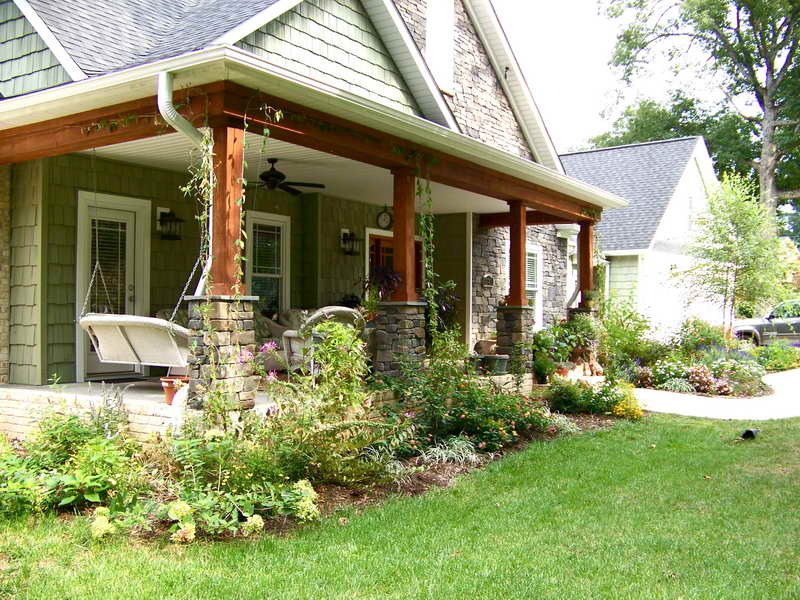 To choose the perfect design, you should choose a porch that reflects the ambiance of the home. 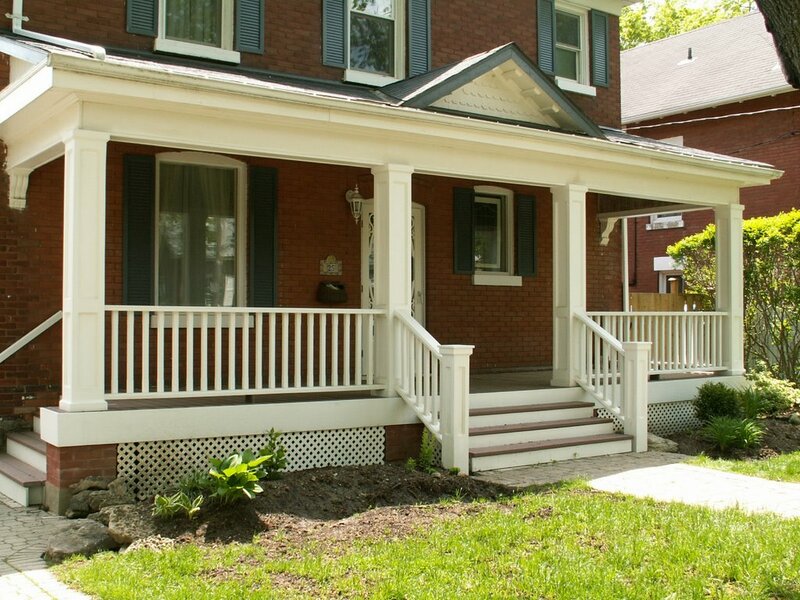 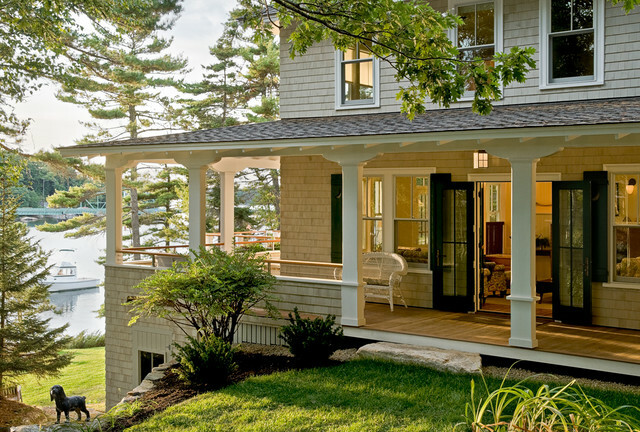 If the rest of the house is done in hardwood, then the porch should be done this way as well. 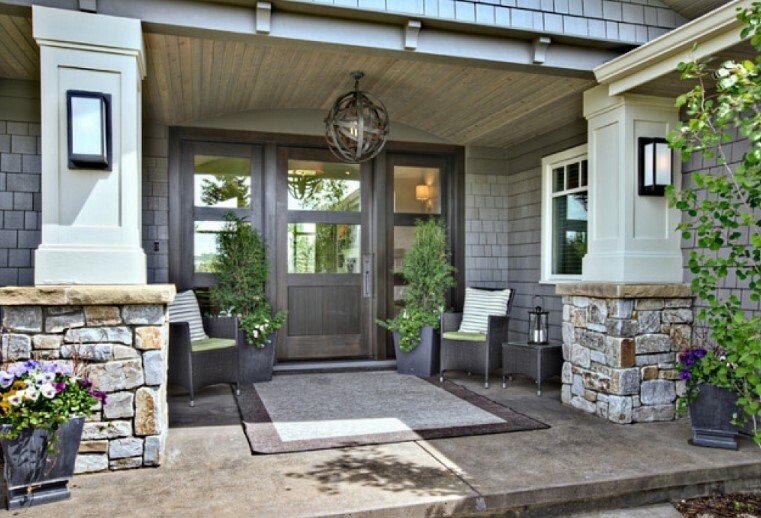 Maybe you want a porch to look as if it has seen better times, so you can choose distressed wood. 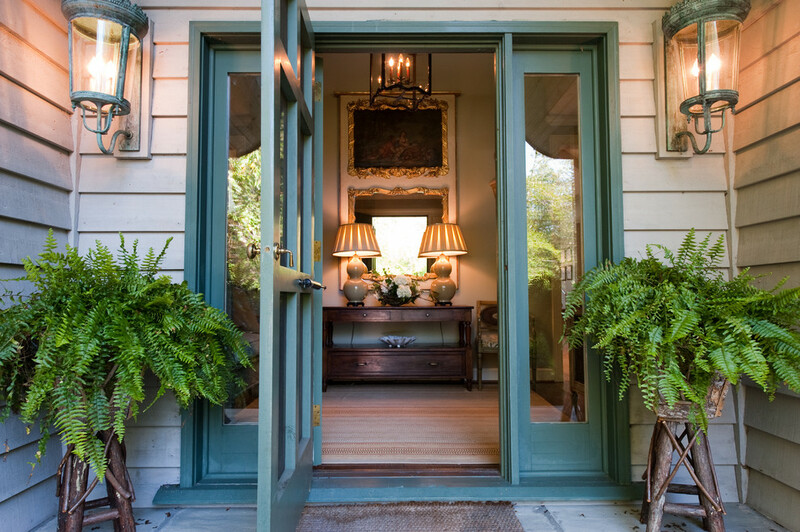 This lets visitors know that they can enter here with muddy boots and not feel as if they are bringing a mess into your home. This is not to say that the porch is messy, but it lets others know that you do not worry about having to clean it on a regular basis. 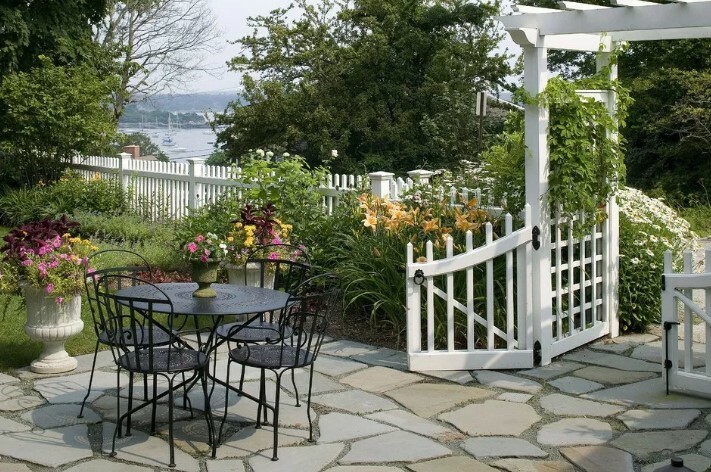 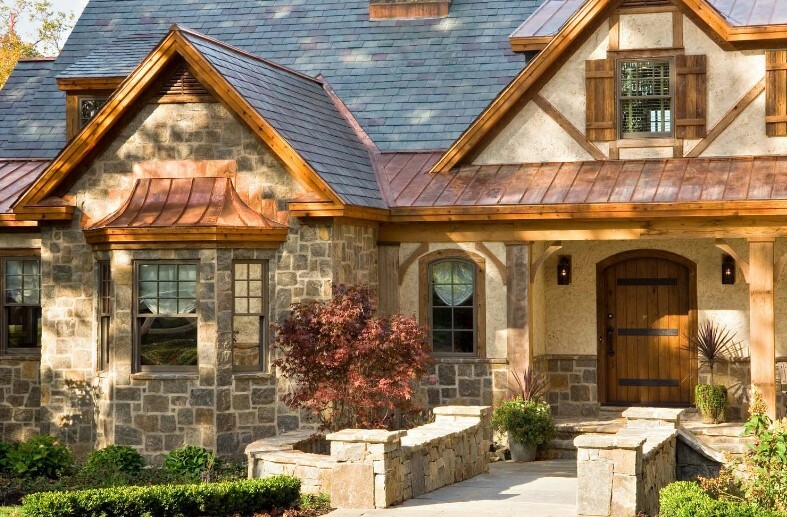 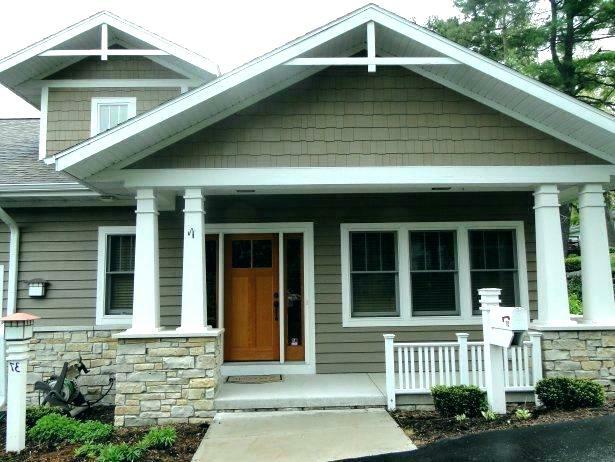 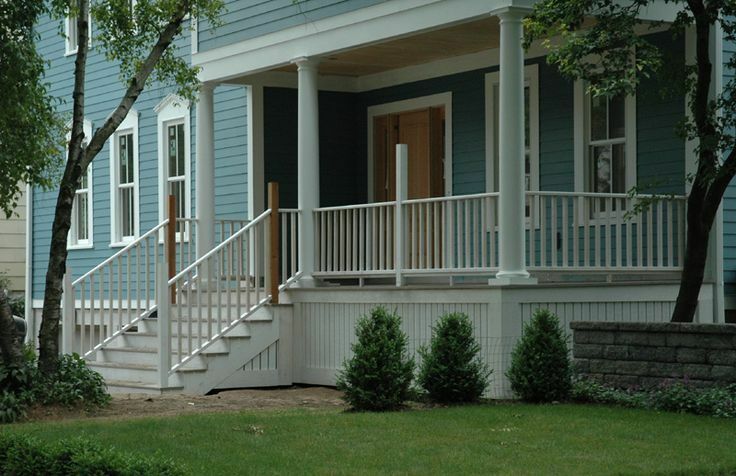 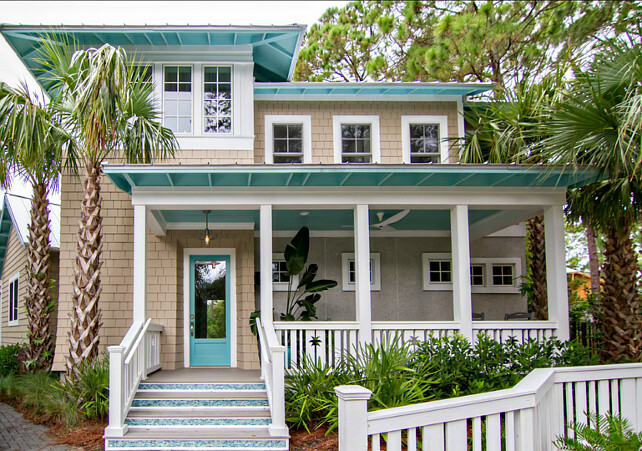 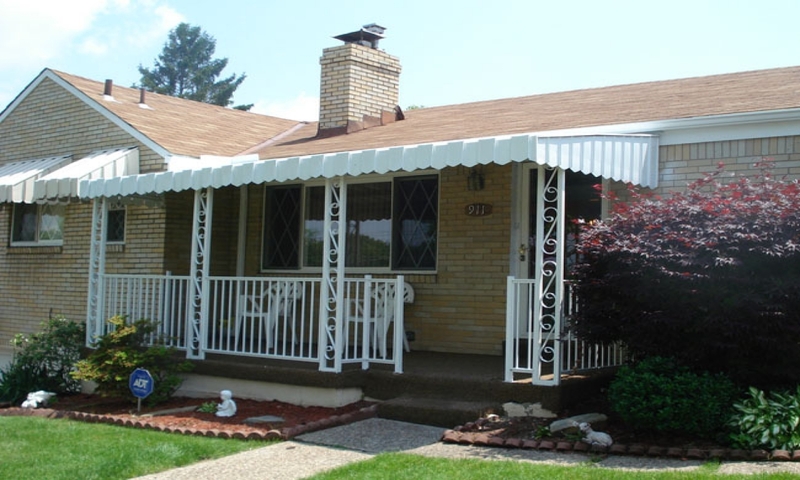 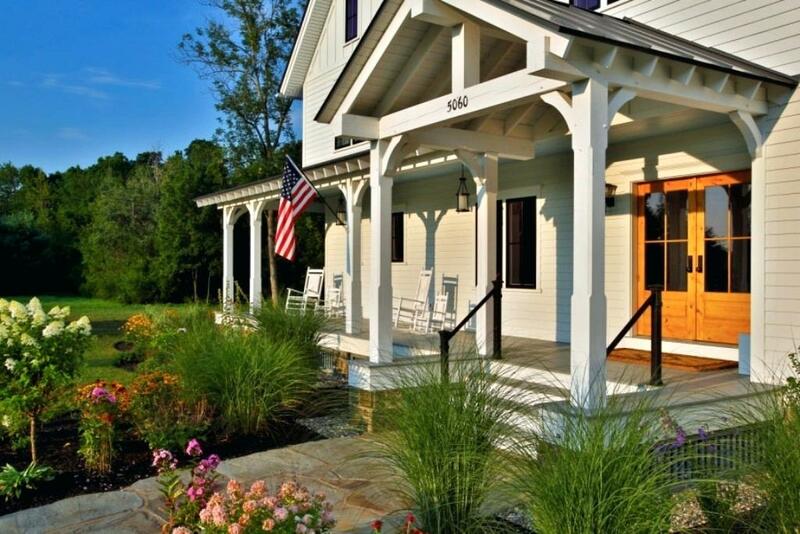 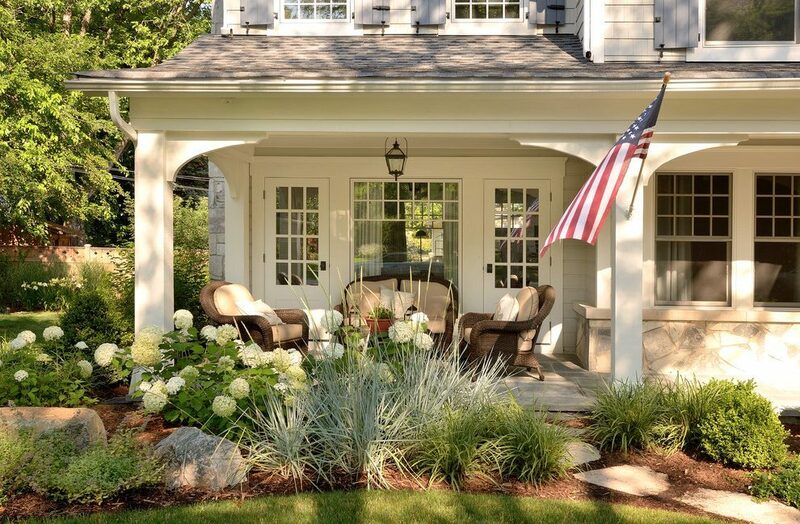 You can individualize your design by mixing and matching two or three designs to create a porch that is truly unique. 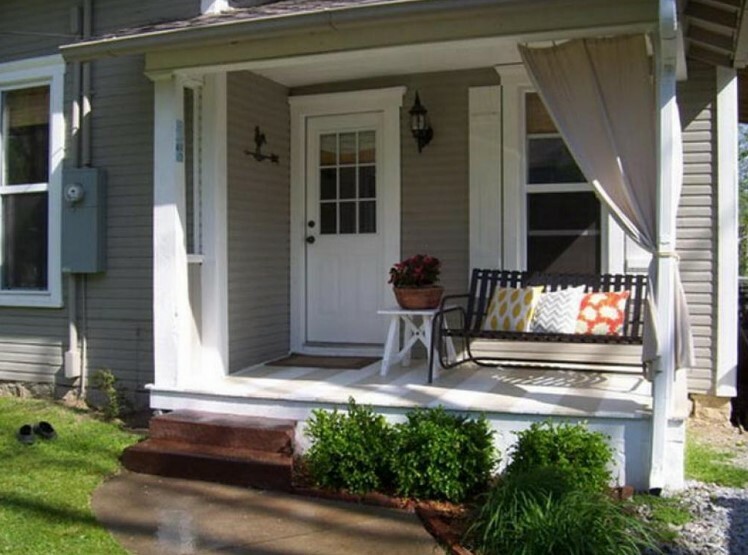 You don’t have to have a lot of tear up if you want to remodel the porch. 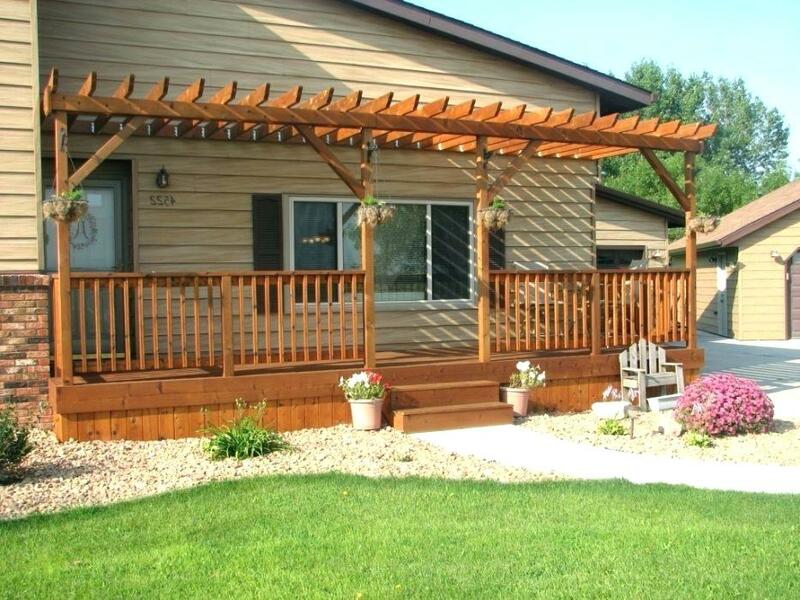 All you have to do is lay interlocking wood tiles over the existing floor or you can run a Sierra border around the porch. 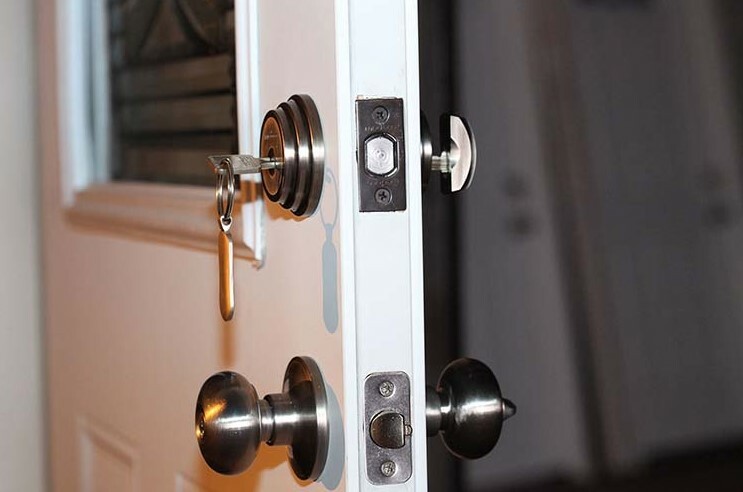 This makes clean up a breeze and you don’t have to worry about having a mess there all the time. 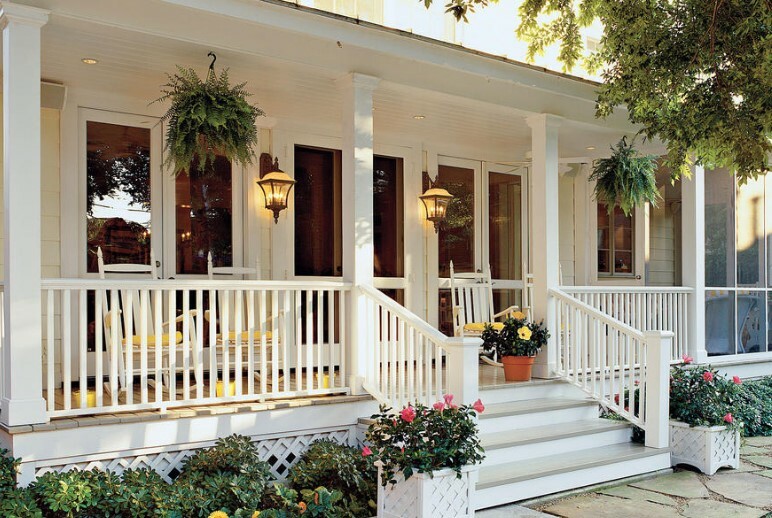 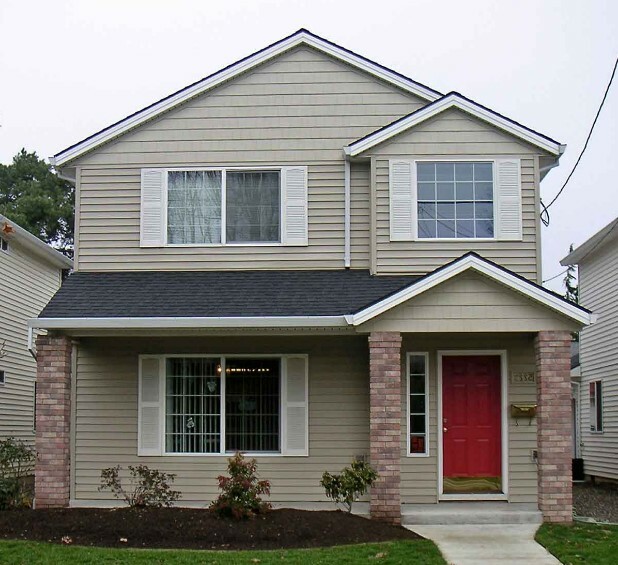 Depending on the design of porch you choose, you can have a small entry way or a large room with lots of space. 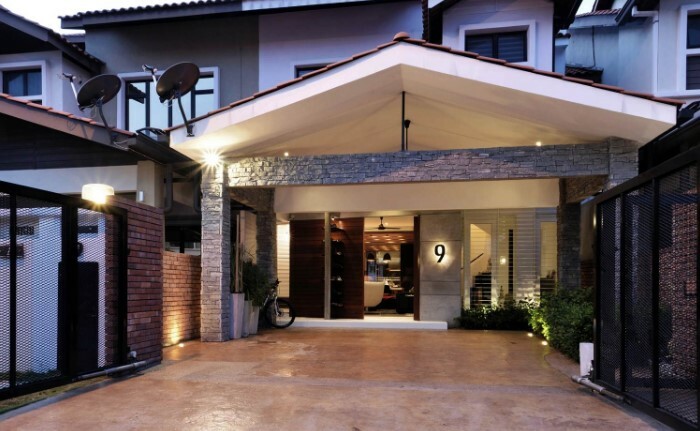 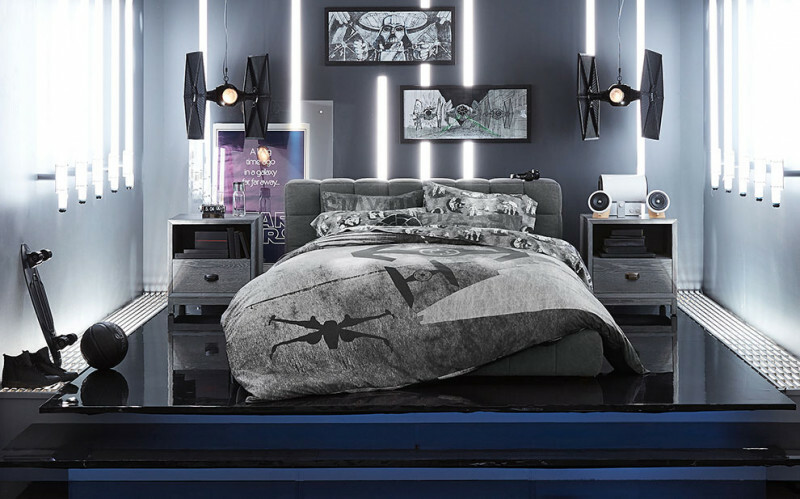 Such a design would necessitate having lots of windows to let the sunlight pour through. 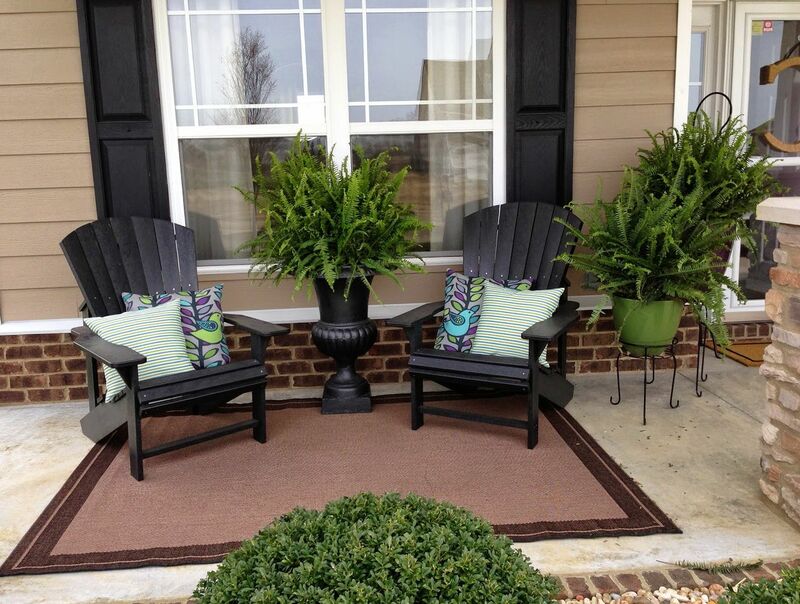 You can add tables and chairs or even use regular patio furniture to have your own private retreat. 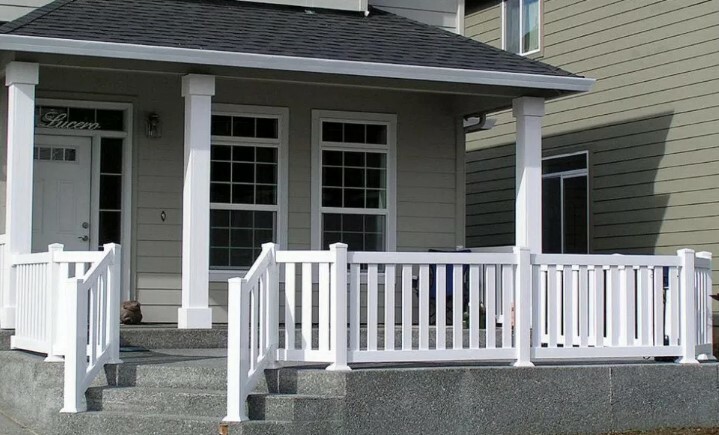 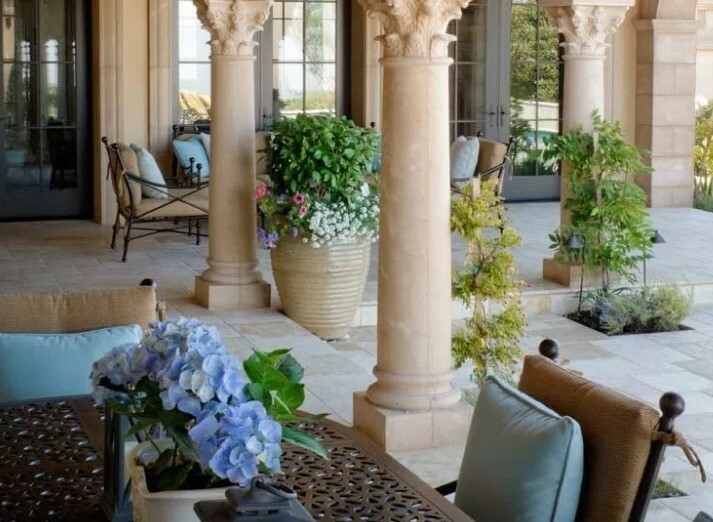 Here is a collection of modern minimalist front porch ideas with different types of porchs models and also different motifs. 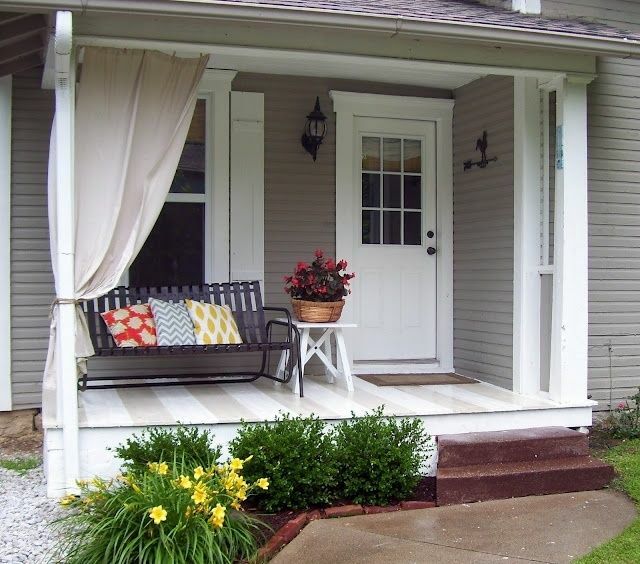 These are just a few Awesome And Beautiful Front Porch Ideas, as there are plenty of them as long as you can play with your imagination.